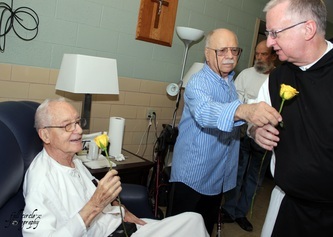 rose campbell, rn at the infirmary, asks father luke how old he is, and he excitedly puts up two fingers. 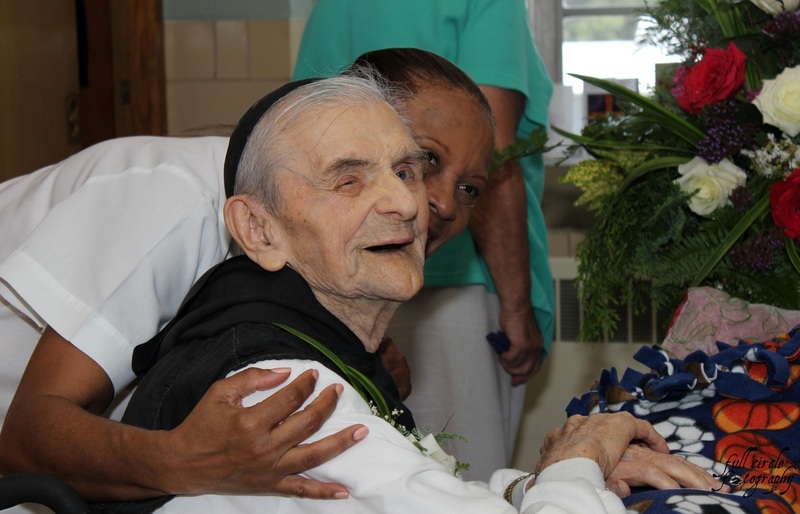 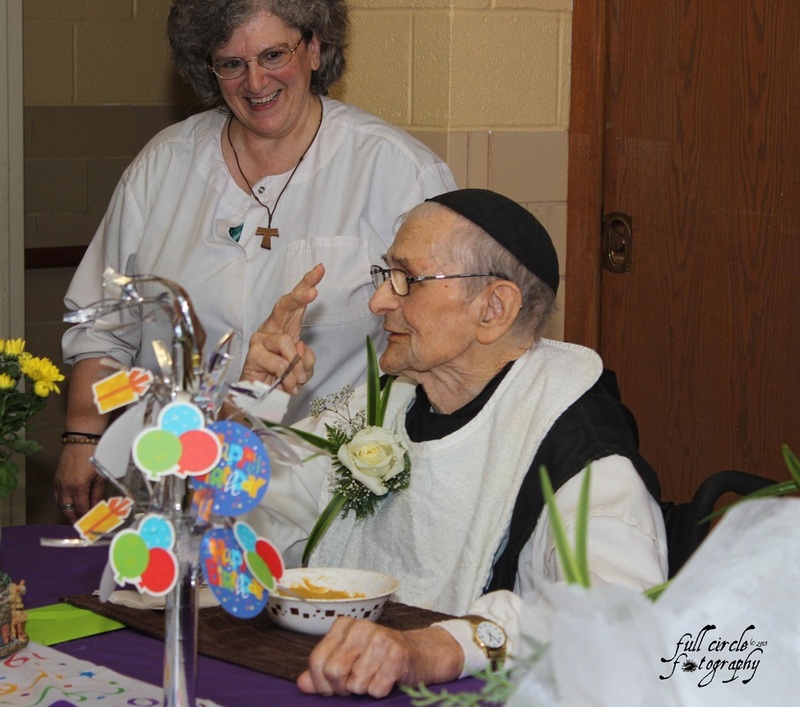 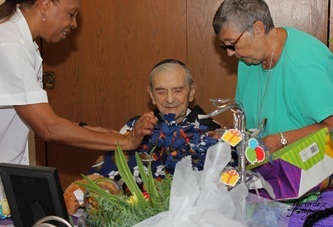 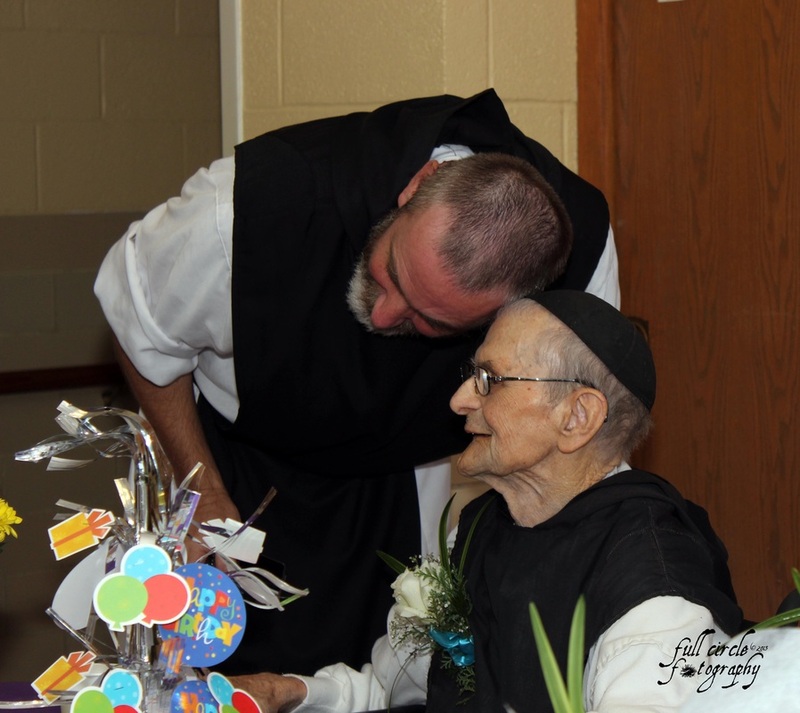 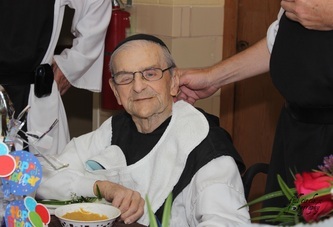 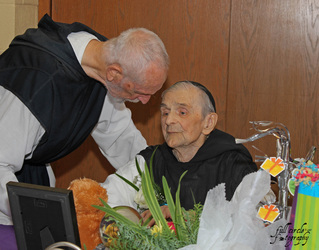 on august 3, he turns 102.
father luke remembers boarding the train that would take him to his new home. 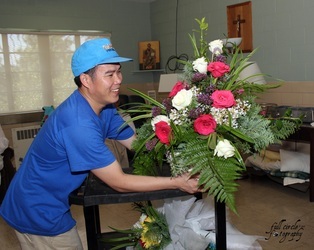 through the years, he has worked and prayed in accordance to his calling. 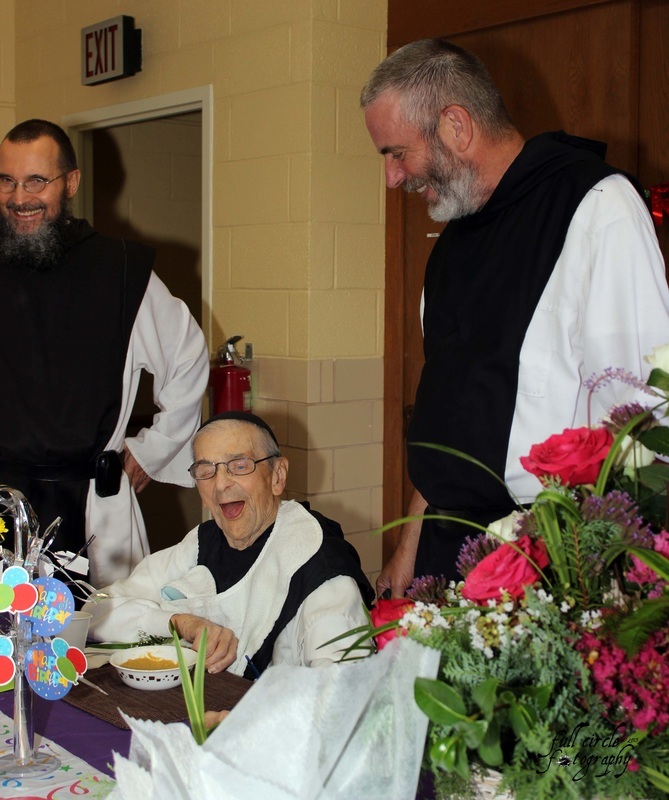 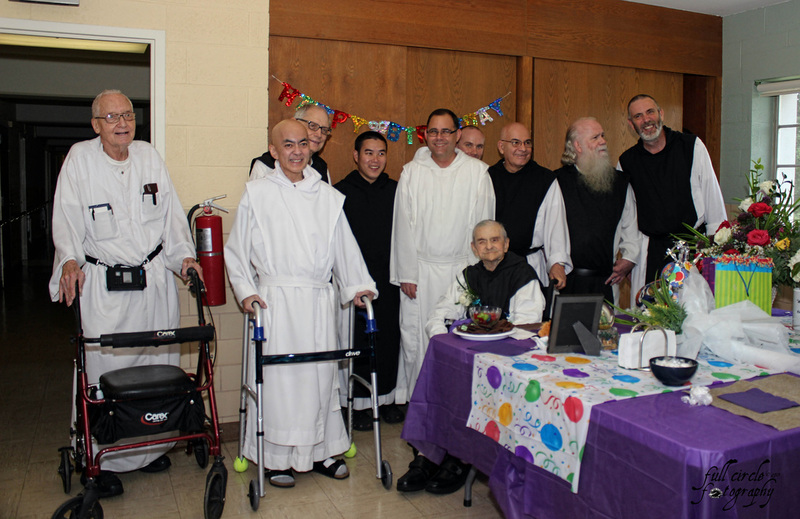 as monks and friends gather, he offers a blessing that "life may be as sweet as this cake is." 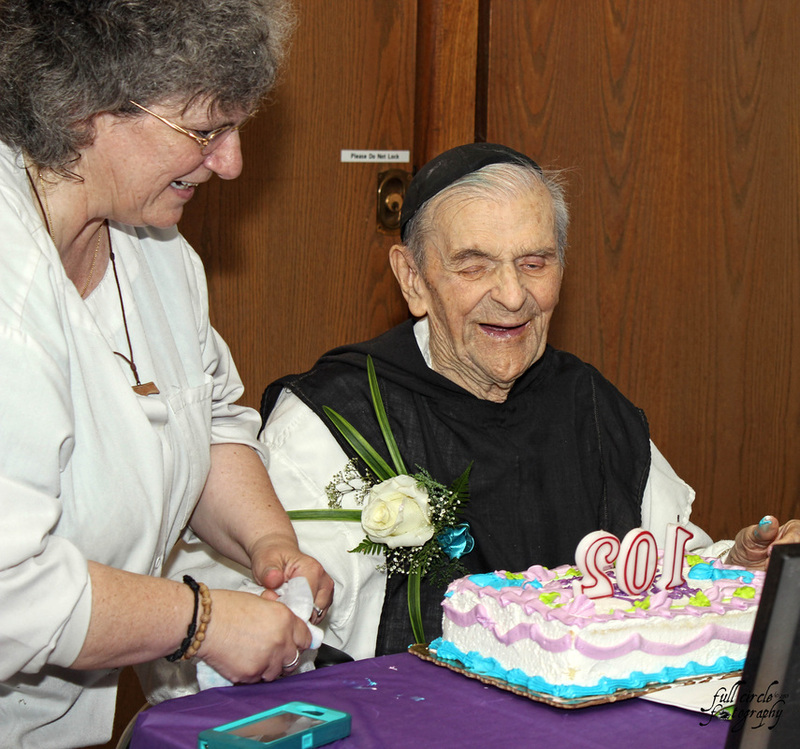 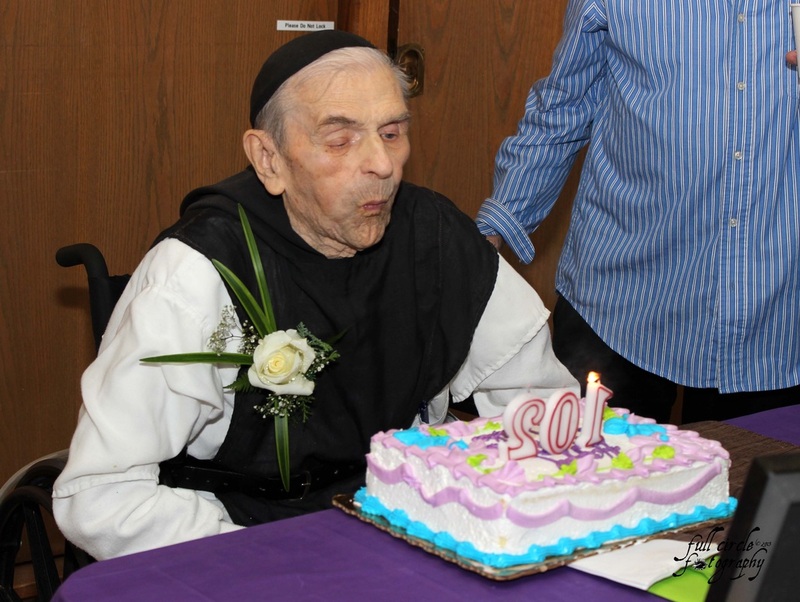 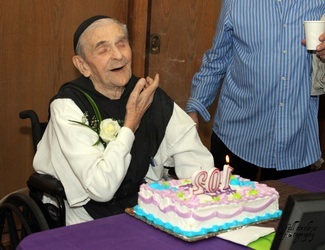 he adds that he is among his favorite people and hopes that they will "all be in heaven together" one day and shares that "sometimes there not enough [birthdays] after you past 100." 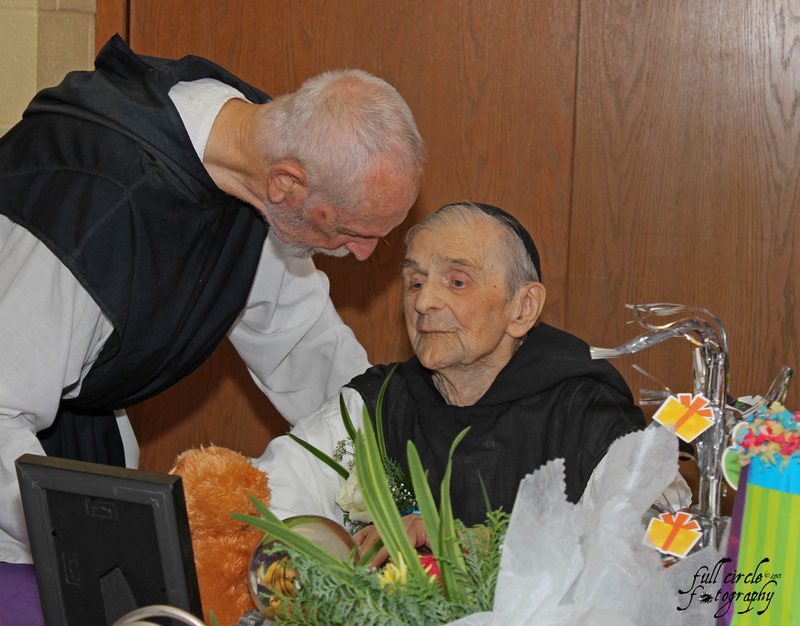 then he reminds us "that when santa comes, tell him i've had plenty". 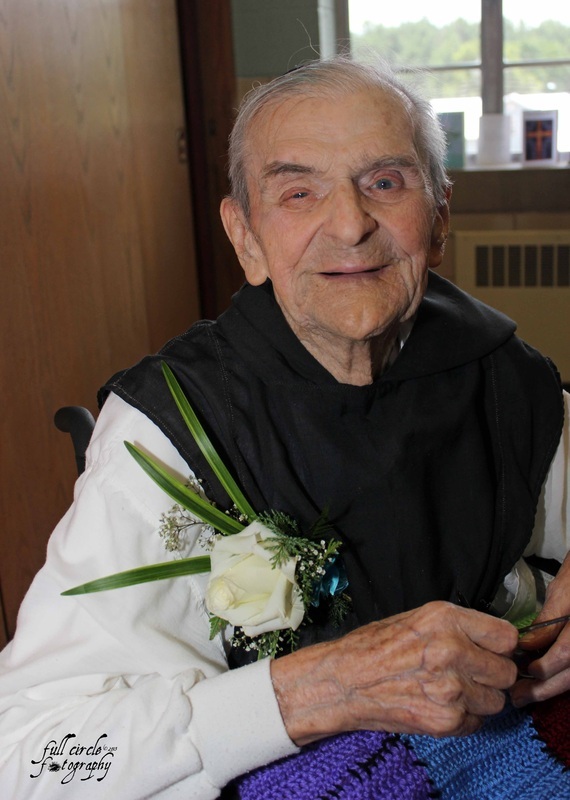 his advice: "live your life loving god and your neighbor as yourself and thank god." 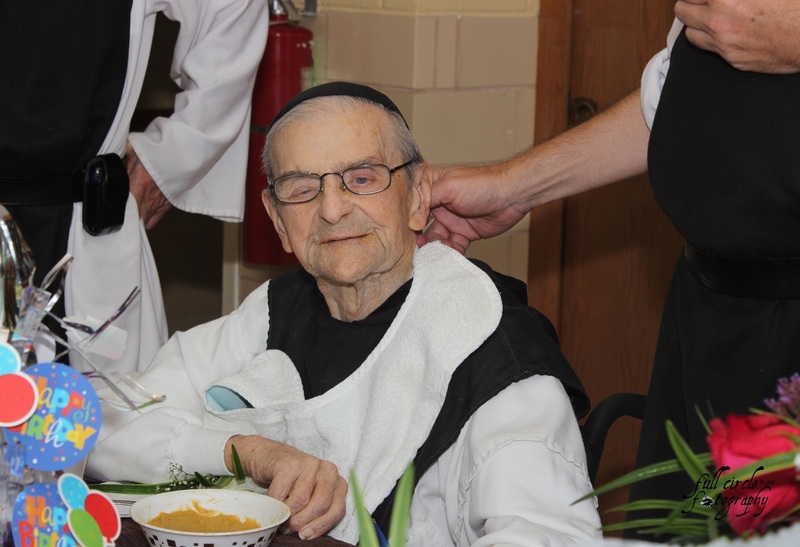 his mission in life: "one thing in life, my constant intention was to live my whole life loving god and helping those in need." 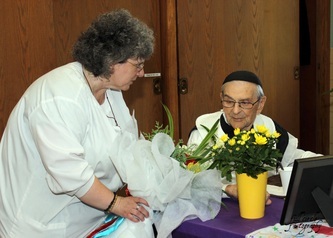 his thanks: "i thank god for parents, [for their] good training." 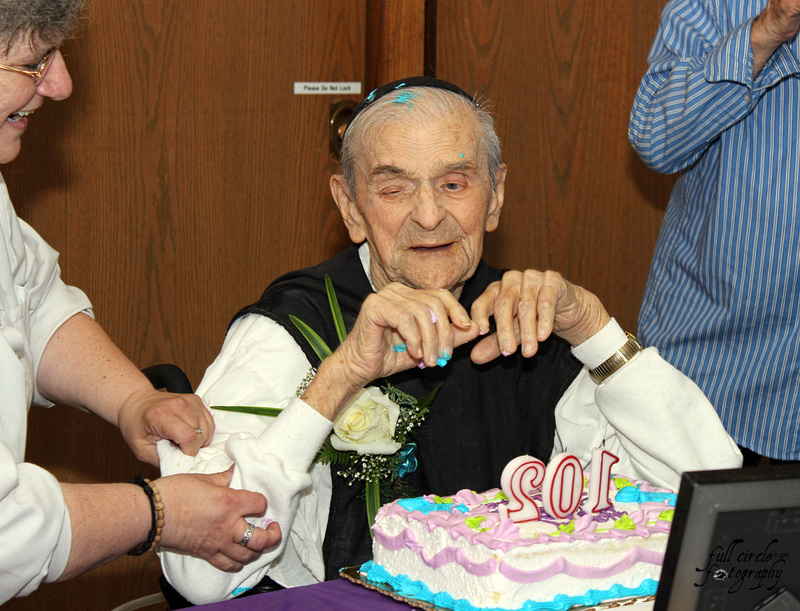 his tomorrow: "to enjoy every minute."